Earlier this summer we spent some time at the wonderfully peaceful Almond & Olive B&B Retreat up in the hills above the Alpujarran village of Soportújar. Located just within the beautiful Sierra Nevada Natural Park in the Province of Granada, Almond & Olive B&B really is something quite special. This is a place that you can escape to when you need to relax and get close to nature. 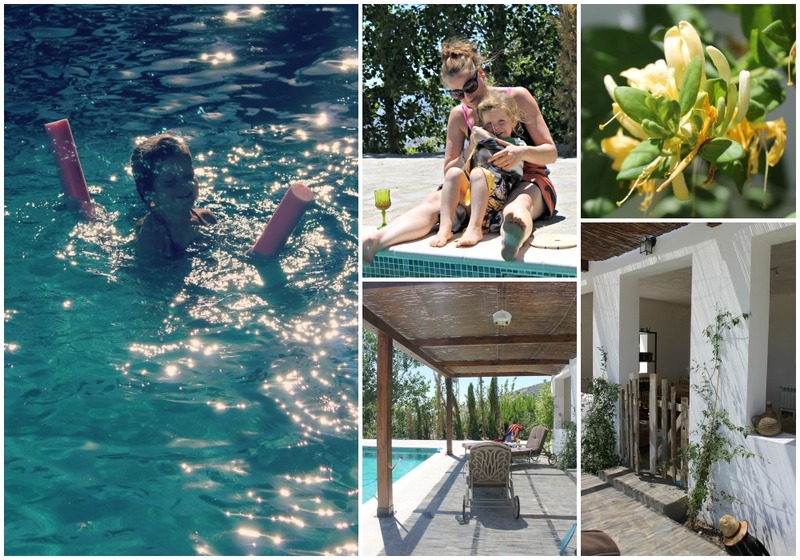 It offers contemporary, comfortable accommodation, friendly service in a relaxed atmosphere and views across the mountains to the sea that will take your breath away. Almond & Olive is run by Vic and Andrew, a lovely couple with a true passion for the area and the land around them. This shines through in the amazing food that emerges from Vic’s kitchen, much of which comes straight from the veggie patch, and the theming and finishing touches that you will find in all the shared and private spaces. The attention to detail, from chocolate scented candles (in the Tree of Song bedroom) and the books that they keep on their communal book shelf, to hand-crafted door signs, displays a very comforting level of care for the guest experience. Almond & Olive is true to the photos. It really is that pretty up there. While it is a great place to spend a night if you are passing through on a walking holiday, or doing an Alpujarran village hop, do yourself a favour, stay a little longer and give yourself a chance to just enjoy the surroundings and the hospitality. Vic and Andrew welcome families to their B&B and will happily turn a double room into a family room by adding and extra bed or cot. The pool area, which offers plenty of shade, is not gated but the adjoining porch is, so you can safely coral crawlers and toddlers allowing you time and space to relax. This is also a spectacular spot of a bit of star gazing or moon bathing, but do remember your insect repellent during the summer. 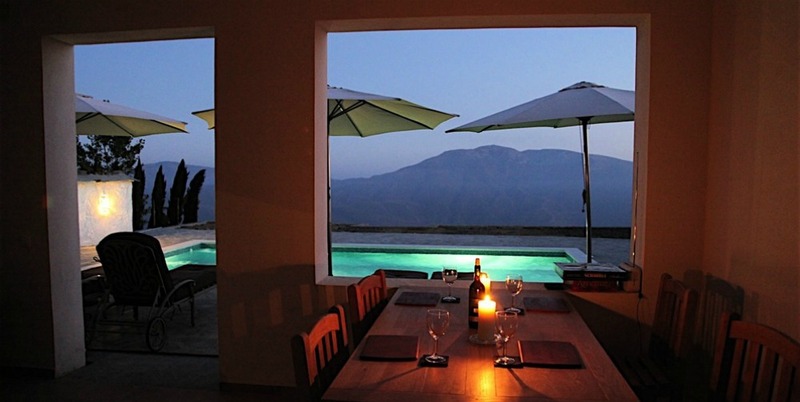 Almond & Olive is very close to the GR7 walking route where it connects with the village of Soportújar and would make a great overnight stop for any walkers looking for some comfort, a dip in the pool, a good meal and a sound nights sleep. 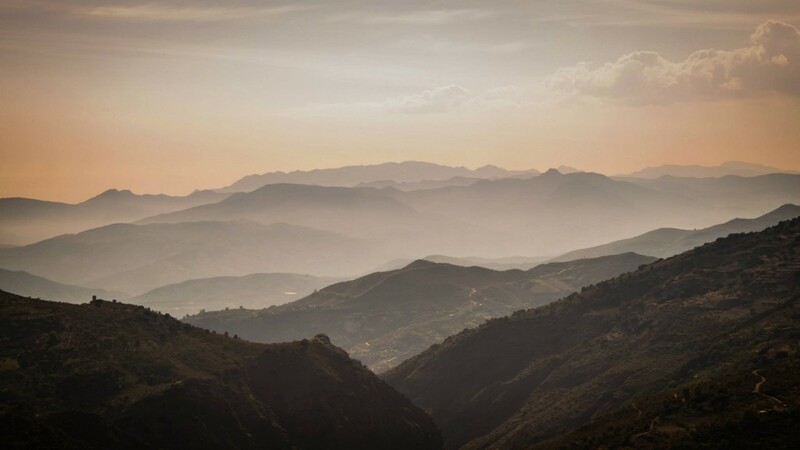 If you stay a while there are a number of pretty whitewashed Alpujarran villages worth visiting and other activities in the area such as horse riding, cycling, climbing and even hang gliding. Your hosts will be more than happy to share their extensive knowledge of the local area with you. Extra beds/cot available for children on request. Guests have access to the pool, many terraces, private lake, and extensive grounds. Bed and breakfast from €65 or £53 per night per room. While breakfast is included, lunch and dinner are optional and highly recommended. You can book a massage treatment with a local therapist. Transfers from the airport, bus or train stations can be arranged in advance. Almond & Olive is around 25 minutes by car from the market town of Órgiva. Take the A-4132 towards Pampaniera and shortly after the turn-off for the village or Soportújar you will see on your right a white chapel, known as Padre Eterno. Slow down here and turn left up the track immediately opposite and keep going for about 10 minutes until you see a sign for the Caballo Park which is also the turn-off for Almond & Olive. This track is winding and in some sections is unmade so if you are in a hire car, which is unlikely to be a 4×4, take it slow and easy. The nearest airports are Granada (75mins), Malaga (1hr 45mins) and Almeria (2hrs 20mins). 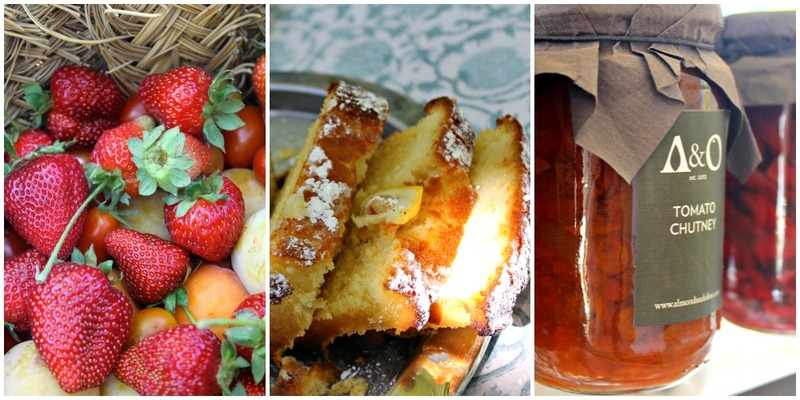 To make and enquiry contact Almond & Olive direct via Facebook or book via airbnb. I hope that you find this review useful and would love to hear from you if you do visit Almond & Olive. I am sure that you will love it as much as we did.